Grocery-anchored shopping centers are generally been thought to be among the more stable retail investments. Investor appetite for grocery-anchored shopping centers continues to be extremely strong, both public and private investors are holding cap rates to historical lows. It is not uncommon to see Florida grocery-anchored shopping centers anchored by Publix trading in the 5-cap range. This is driven in part by the belief that grocery-anchored shopping centers are generally thought of to be among the more stable retail investments. While there is a prevalent deluge of headlines touting the death of retail, it begs the question: “Are grocery-anchored shopping centers really internet-resistant”? How will Internet impact grocery-anchored shopping centers? Amazon’s recent acquisition of Whole Foods has caused many investors to focus on how supermarkets will be impacted by Amazon and the Internet, and in turn they begin to further analyze how the internet will impact grocery-anchored shopping centers. On the day that Whole Foods announced the Amazon acquisition, Target, Kroger, Costco, Walmart, Dollar General, SuperValu, and Sprouts lost a combined $21.7 billion in market value. Stocks of major food retailers lost $12 billion in market value two months later after Amazon said Whole Foods will cut prices on many of its best-selling grocery products the day after the acquisition was completed. Many feel that the sell-off has been excessive, with Kroger off ~67% from its 52-week high as an example, as the acquisition by the online giant demonstrates the value of brick-and-mortar grocery and the value that a retail footprint provides for the ‘last mile’. According to a recent FMI-Nielsen report, online grocery spending accounts for 4.3% of total food and beverage sales but is expected to grow between 9% and 20% annually over the next five years. The report doesn’t see the rise of grocery e-commerce as leading to the demise of the brick-and-mortar supermarkets but rather as one that will “reconfigure” the role of the grocery store for the digital food shopper. The authors anticipate supermarkets expanding areas such as service delis, bakery, meat departments, as well as significantly increasing the amount of space devoted to prepared foods, food courts, and things like sushi bars. “Only the retailers that first develop an understanding of their digitally engaged shoppers, then build a strategy around that understanding and cost-effectively integrate digital food retail into their banner and channel promise will be market leaders,” the report stated. The average size of supermarket-anchored shopping centers has decreased over the last decade, with developers building less square footage around the grocery-anchor. This has increased the percentage of space leased by more internet-resistant services uses such as barber shops, daycares, medical uses, dry cleaners, restaurants, insurance offices, salons, and cellular stores. This reduces the risk of grocery-anchored centers and allows investor appetite to remain strong. While retail is undergoing some fundamental changes, grocery-anchored shopping centers will continue to be one of the most stable retail investments. 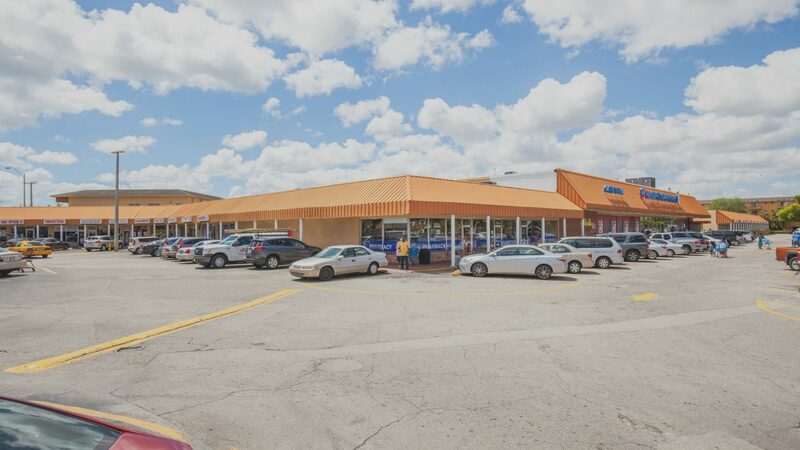 As the public REIT’s focus on the top 20 markets, pricing for Florida grocery-anchored shopping centers will continue to be extremely competitive. Investor appetite for grocery-anchored retail will generate a continued widening in cap rates between grocery-anchored and other formats, and we should continue to a witness a widening between A and B/C grocery-anchored centers as investors focus more-and-more on the top one or two grocers in a market.